We're blessed to have people like Jude and Jason and a shop like Sugar Wheelworks in Portland. Jude lives and breathes wheelsets, keeping our wheels running true and sending us off on new adventures with flawless hand built wheels. They're knowledgeable, extremely helpful, and basically just a joy to work with. If you're in the market for new hoops, need your wheels trued, or are just curious about the process, go pay Jude and Jason a visit and they'll get you rolling in the right direction. 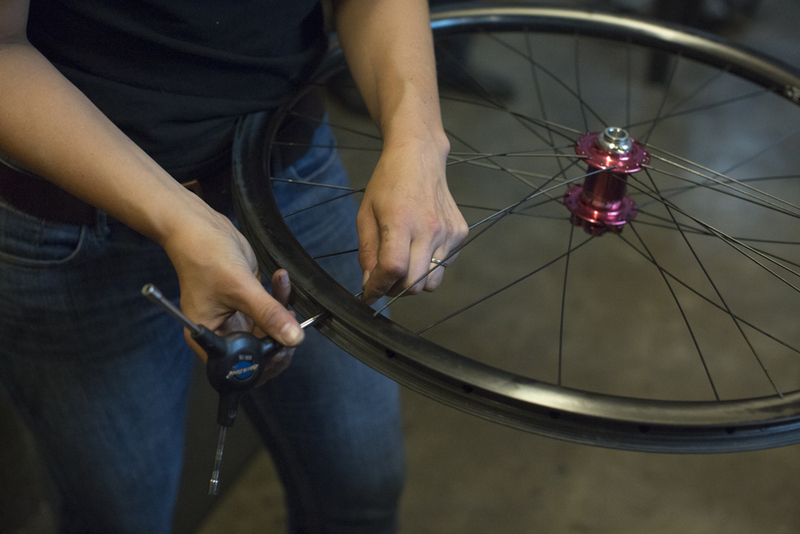 Also, if you've ever wanted to learn how to build or maintain your own wheels, Sugar offers classes. Here's a small gallery of our Chris King/Enve build for the Magnificent Seven. Thank you Jason and Jude. Thank you Sugar!